Who What Wear readers know that we love everything—really, everything—about French style. Parisian women in particular are known for embodying the word "chic".They uniquely and intuitively know what looks good, and they never try too hard getting there. Instead of speculating from afar about what makes a truly Gallic wardrobe, we asked blogger Deborah Reyner Sebag aka The Daily Deb to give us some of those coveted style tips. Here, she tells us all about what every French woman has in her wardrobe and the three pieces French women never wear during winter. Just because it’s cold doesn’t mean you have to neglect your sense of style. You can definitely play around with your look. I’m going to tell you about the essentials all French women have in their wardrobes during winter, and the three things we also never wear at this time of year. As this is my own take on Parisian style, hopefully I’ll avoid any clichés along the way. And to show you exactly what I mean, I’ve put together a few looks for you to try. You probably already know that French girls love simple pieces, but the trick is also in how you wear them. Keep scrolling to find out which pieces French women do and don’t wear during winter. A bit too clumsy for our liking, French women prefer more feminine shoes in general. 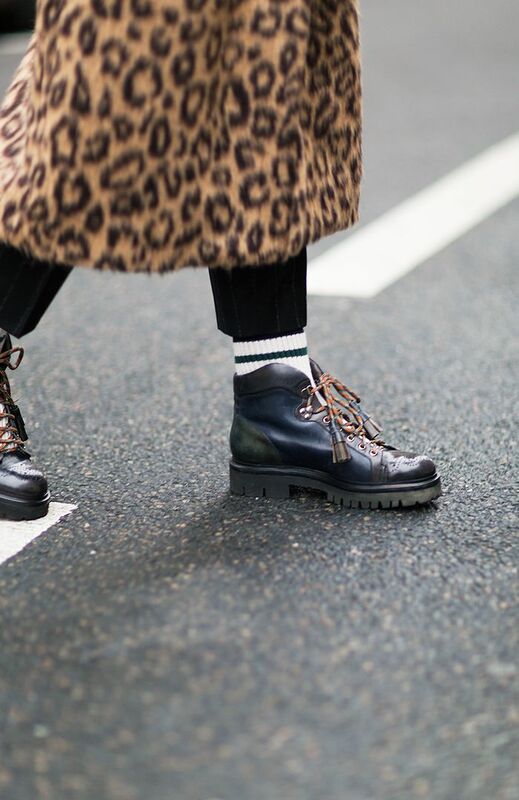 If you do want to wear hiking boots, however, the challenge is to make it the shoe appear more glamorous—so pair them with tapered cigarette pants and a leopard print coat. Everyone wears socks (that’s a given), but French girls prefer styles that are discreet and only come in basics such as black, grey, or blue. But from time to time, Lurex, satin, and mesh fabrics can become fashionable. If you have to go for a super out-there sock, I would recommend you opt for a pair by Gucci, and pair them with loafers for a bold look. While white bags are nice, they’re just too easy to get ruined—which is why we tend to play it safe and invest in black bags. Personally, I actually quite like a white bag for winter to break from the norm. Although you likely won’t see them around Paris. I used to shop for vintage furs, but recently, more and more fashion houses are going fur-free. When I first saw this jacket from Rouje, I fell in love. It is simply perfect. So from now, I’ve swapped my old furs for this marvelous creation by Jeanne Damas. So, how do you wear it? Simply with a pair of high-waisted trousers, which should be cropped to show off your shoes. Accessorise with a structured bag and wear your favourite graphic tee for the ultimate French look. It has to be loose and cosy, and it must keep you warm when you’re outside (even without a coat). You can wear it like I might during fashion week with a miniskirt and a pair of boots, or go for a more casual look with cropped jeans and flat boots. It’s here that the accessories really matter, so make sure you choose shoes and a bag that stand out. As we approach the festive season, I love a velvet kimono. But to be honest, I love velvet anything. That said, this Attico dress is one of the best I’ve found. To break up the velvet a bit, you can always layer a printed tee and even opt for a pair of trousers or jeans underneath too. To finish the look off for a party, go for oversize earrings and and a pair of heels. Next up, the French shoe brands every girl should know.